Also known as Port Vell Aerial Tramway, this is your best chance to get an aerial view of the beautiful city of Barcelona. 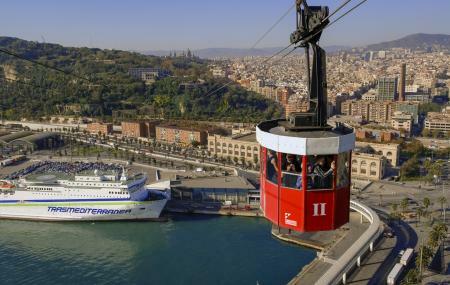 It is actually the Barcelona Port Cable Car and takes you around the wire exploring a side of the city you cannot see from anywhere else. It covers some really beautiful areas of the city. It starts with Port Vell, passes over the old suburbs of the city and takes you over the harbor of the city. You also get a chance to see Montjuïc hill from the sky and finally Barcelonta which is the famous seaside harbor of Barcelona. During winter season(November to March approx.) , the cable car does not work between 2pm -3pm. Check the schedule before making the journey as they are subjected to change. How popular is Port Vell Aerial Tramway? People normally club together El Born Barcelona and Barcelona Aquarium while planning their visit to Port Vell Aerial Tramway. Don’t worth waiting. It could take up to an hour or more to get there. Also expensive as hell. Don’t waste your time and money. Better make a nice walk along the port. P.S. there is second queue inside of tower. Nice little jaunt across the harbour with fantastic views over Barça and the surrounding city. 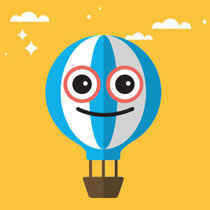 It takes a while to wait for the car so would recommend you prepay for tickets. Kids go free up to about 10 years of age (check tho!). You get about 20 in the car, and the journey takes about 7 minutes all told. Once you clear the queue for tickets at the bottom you have to wait for a lift up and then about another 20 minute wait at the top (although a good photo opportunity). Prepaying means you can go straight to the lift queue. I went from the harbour towards Mont Juic. Up on the 'mountain' there is a place to get snacks etc. Worth it for the views if you can stomach the wait which for me was about an hour at midday in February. A bit pricey but fun and unique. Great views of the city and you can hang out on either side (technically for free). Worth it if you are killing a bit of time, but maybe not if you have better stuff planned. I did this trip at the beginning of March and still had to wait over an hour. The views are OK but there are better to be had. Where to purchase tickets for this tram? and cost? You can either book through the pretty good recommended tours on this page or straight head to the ticket office at the beginning and end point near Miramar Hotel.